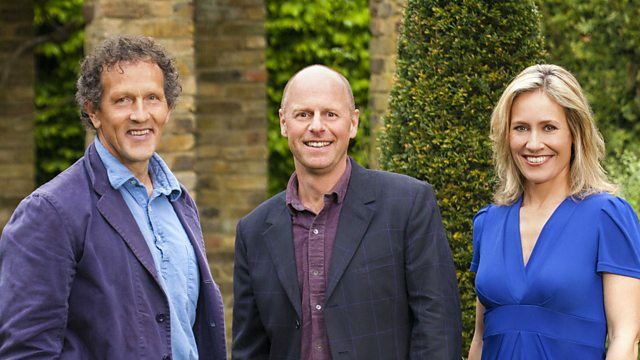 Sophie Raworth and Joe Swift present exclusive coverage of the 2016 RHS Chelsea Flower Show. The show rolls out the red carpet as Her Majesty the Queen makes her annual visit. Monty Don and Joe Swift present from the 2016 Chelsea Flower Show, including full coverage of Her Majesty the Queen's annual visit and a look forward to tomorrow's medals announcement as the team predict the designer they think will scoop the coveted 'best show garden' award. Actor Tom Hollander joins Monty and Joe and reveals his own horticultural heritage.